Canva has announced its official entry into the Indian market. Canva is an online graphic design platform that is based in Sydney, Australia and is looking to expand its presence in India. The platform is already being used in more than 179 countries with 5 millions users around the world in just over two years of being launched. India has 150,000 users and accounts for Canva’s 4th largest market. The company aims increase the number of users in the country to 1 million by the end of 2016. Canva announced its official launch in the India market. The online graphic design platform based in Sydney, Australia, with an office in the Philippines, is looking to expand its presence in the country. Canva aims to make graphic design amazingly simple for everyone, allowing users to create professional quality designs. Despite its Australian roots, Canva is already used in more than 179 countries, and more than 1 million designs are created on the platform, each week. Canva, which reached 5 million users in the world in just over two years after launching, has 150,000 users already in India. Indian users, which account for Canva’s 4th largest market, have already created more than 1 million designs. The company aims to reach 1 million users in India by the end of 2016. With over 2,000 users signing up in India every day, Canva is seeing exponential growth in the local market, reinforcing its pursuit to become more deeply entrenched in local conversations around design simplicity and the role of the internet in propelling it. “We are incredibly excited to be launching Canva in India. It’s already one of our top five markets, and we see great potential for it to become an even bigger market for us. We will be investing in local marketing, business development and brand partnerships in India with the goal of getting the word about Canva out to Indian social media marketers, bloggers and small businesses, and empowering them to create their own beautiful designs. We’ll also be launching our Canva Experts partnerships in India and working with local firms to help Indian users get the most out of the platform. 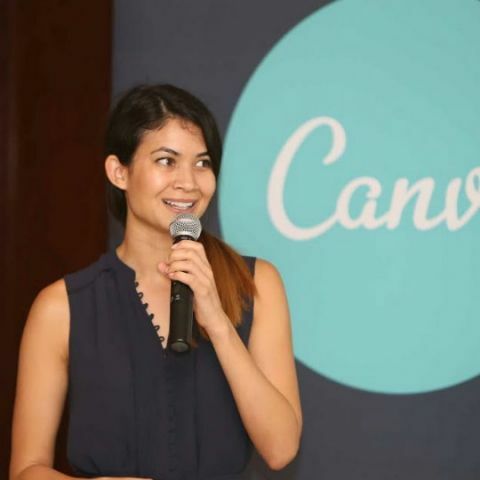 We decided to launch in India because it’s already a key market for Canva, and we feel it has great potential for growth, especially considering Indians are known to have a strong design aesthetic, and be early adopters of new technology and applications,” said Melanie Perkins, CEO & Founder, Canva. Canva Experts are local firms who work closely with Canva and represent the platform at events, holding trainings and working with local communities to get the most out of the platform’s potential. “Design in India comes with a background of so much colour, vibrance and a multicultural ethos that is native to the Indian spirit. For this reason, we are launching in India with customized festival themed templates to cater to digital marketers, bloggers and designers during the upcoming festive season,” said Melanie Perkins, CEO & Founder, Canva, commenting upon the company’s decision to offer customized Indian design elements in its design library. Canva now has templates for cards and social media posts to celebrate festivals such as Durga Pooja, Dussehra and Diwali. The company recently completed a $US15 million Series A funding round to expand its platform, a service now used by more than 5 million marketers, designers and businesses. The company is now valued at $US165 million. Canva will use the funding to grow its team, enhance the product and expand globally. The funding announcement follows the success of Canva’s recent launch of Canva for Work, a subscription offering for businesses. The funding was led by investors Felicis Ventures. They were joined by existing investors Blackbird Ventures, Matrix Partners, and new investors Vayner Capital, the investment arm of Gary Vaynerchuk.Hollywood actors Owen Wilson and Woody Harrelson have also become investors in the company.